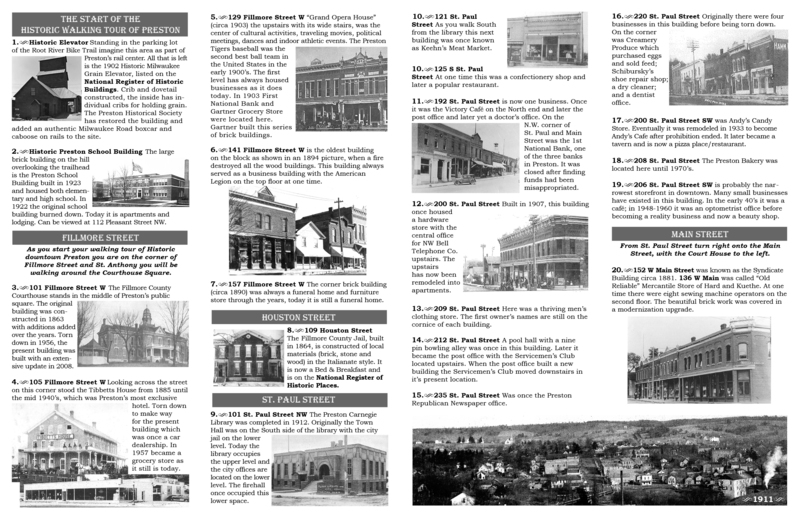 The below brochure is a self-guided walking or driving tour of the heritage of downtown Preston. It features very enjoyable descriptions of the history of Preston businesses of yesteryear, as well as old pictures of the businesses. It will take you back in time. 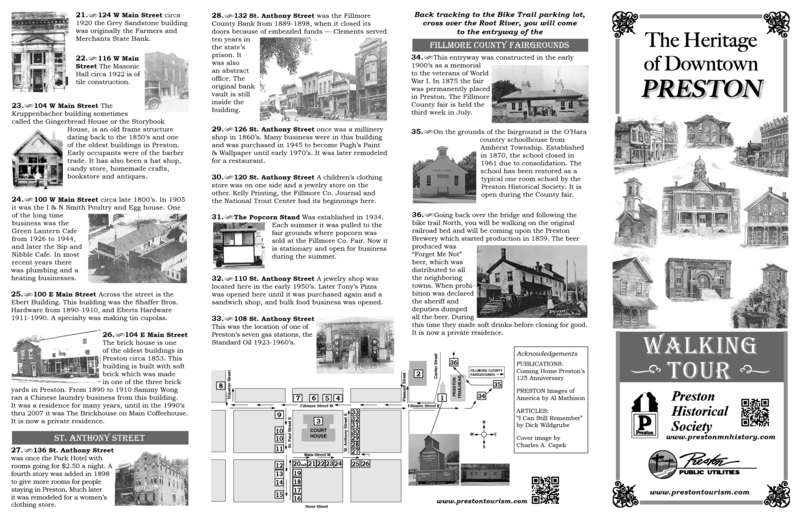 The brochure starts at the Historic Elevator and continues to the downtown around the Courthouse square and back down to the Fairgrounds and the old Preston Brewery. The old County Jail has also been included. Cathy Enerson of the EDA has provided PHS with funds from the round-up of the Preston Public Utilities payments for the printing of this brochure. It was completed in May, with the help of Kelly Printing. You can print or look at the brochure either as a PDF or JPG.